bored with your current offering of nylon, fabric or canvas MacBook sleeves? 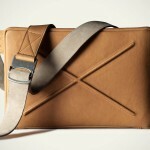 here’s a little luxe of change that you may like to consider. 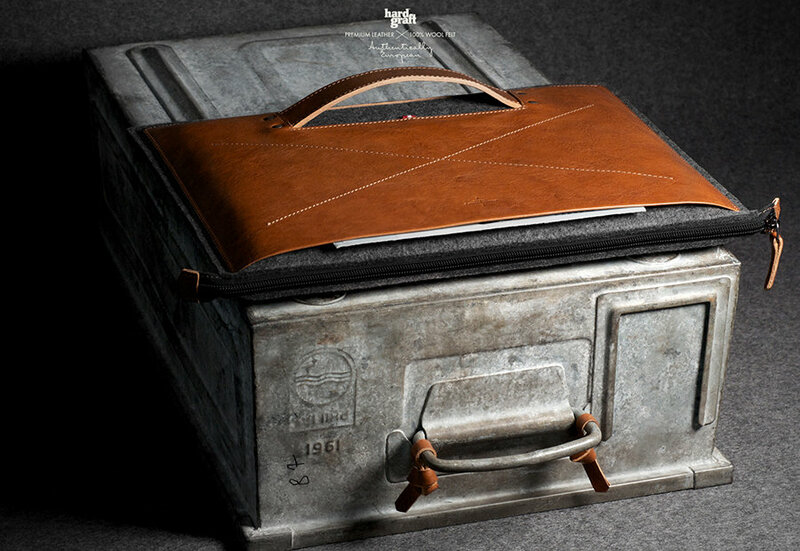 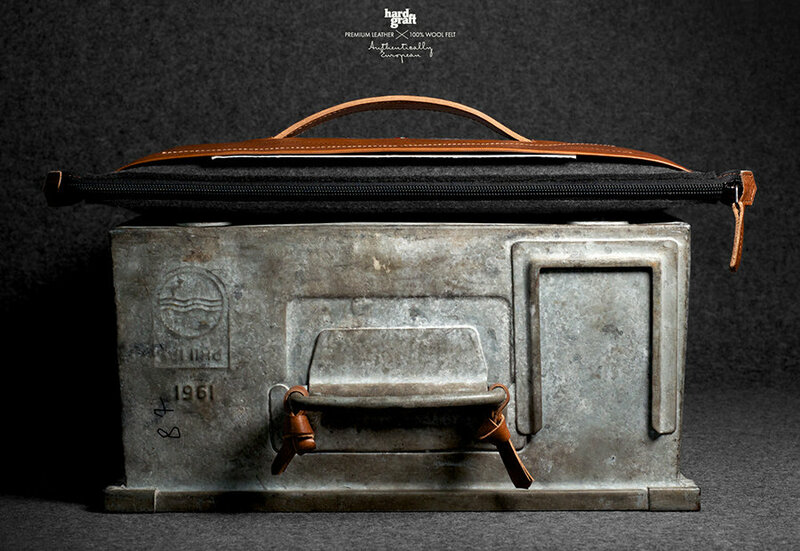 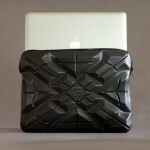 meet the Hard Graft’s new Grab Laptop Folio. 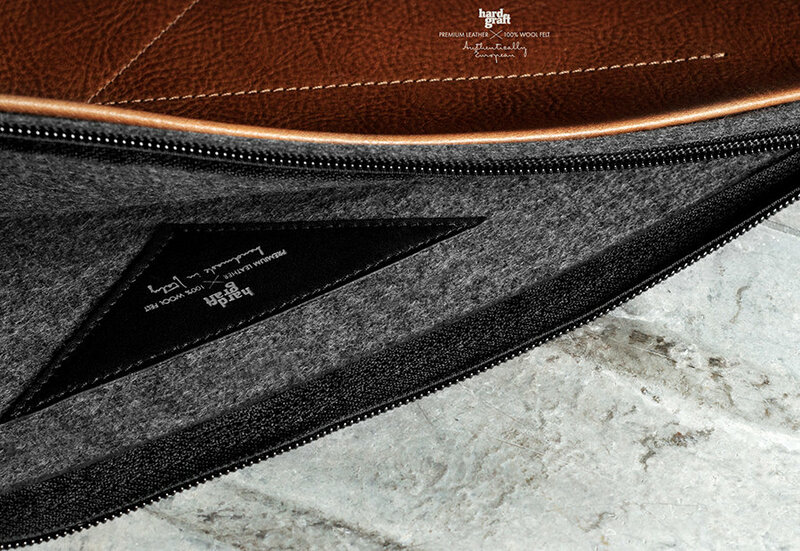 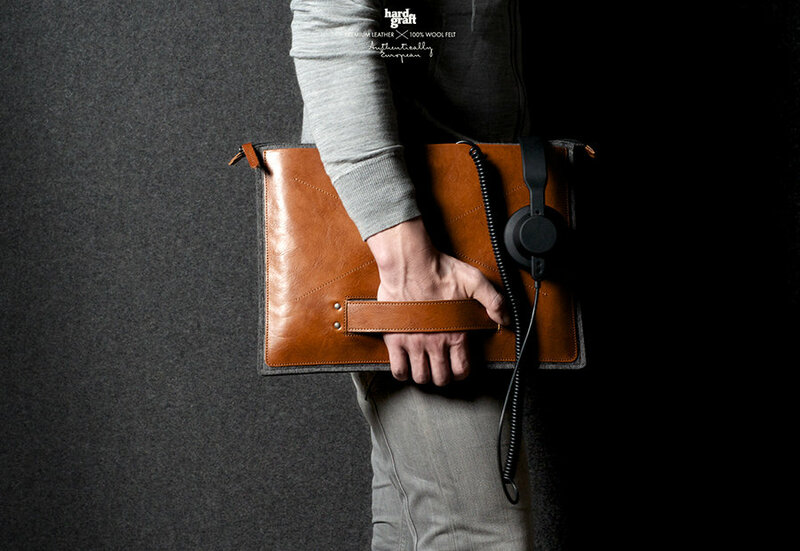 designed to hold your 13-inch MacBook or MacBook Air and handcrafted by a duo of talented Italian leather masters, guided by the good’ole Hard Graft’s tradition of attention to details, this lovely MacBook accessory features vegetable tanned leather on one side and premium wool felt from Germany on the rest of the sleeve, including the interior. 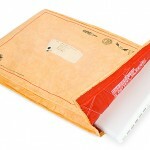 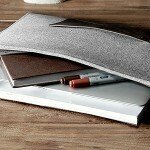 the latter not only adds a touch of plushness to the folio but also protects your MacBook against accidental scratches. 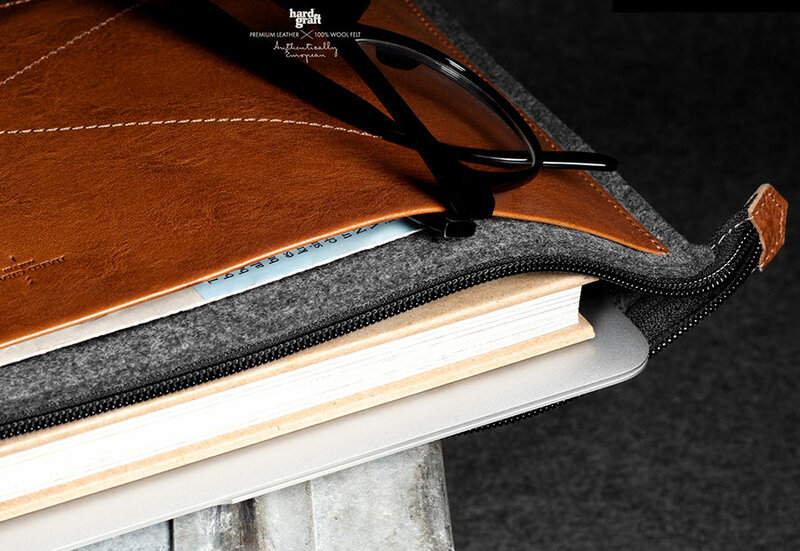 additionally, the folio not only holds your treasured 13-inch laptop but it still have ample space for essentials such as your phone and power adapter – all which are things that you will need to hit the road in perfect style and without bogging yourself down with the extras. 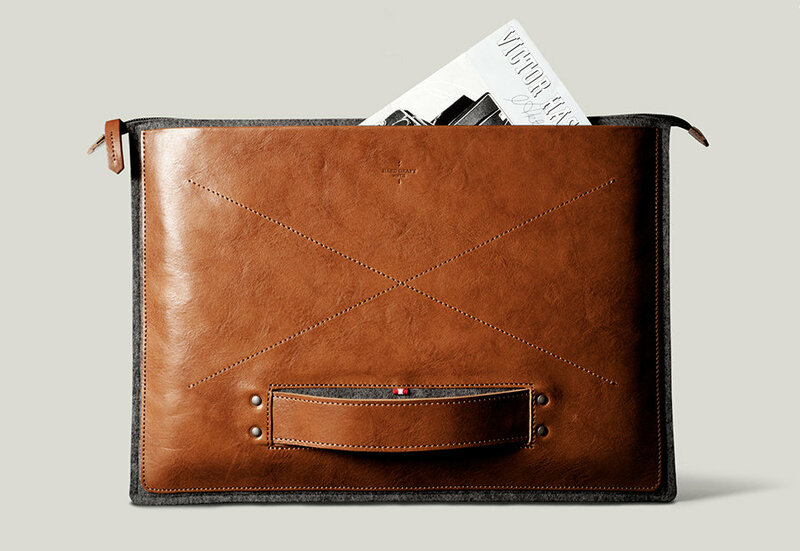 it is a fact of life that at some point in our lives, we just want to travel light without compromising our style factor, and this £149 (about US$234) Grab Laptop Folio is the one that will fit our bill perfectly. 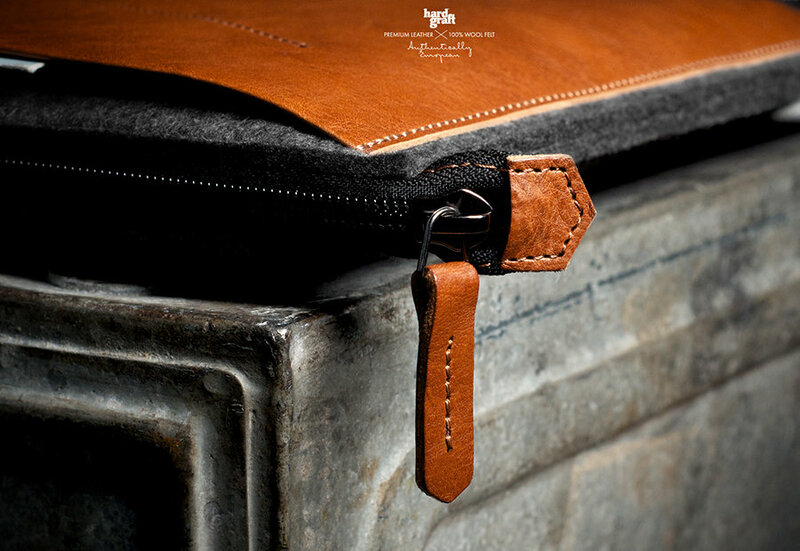 we are not going to pretend that it is not pricey (leather or not) and hence, it could be very well a tough decision to make in putting down your money for one, so why not hit the jump and let a small sample of gallery to convince you of its worth?